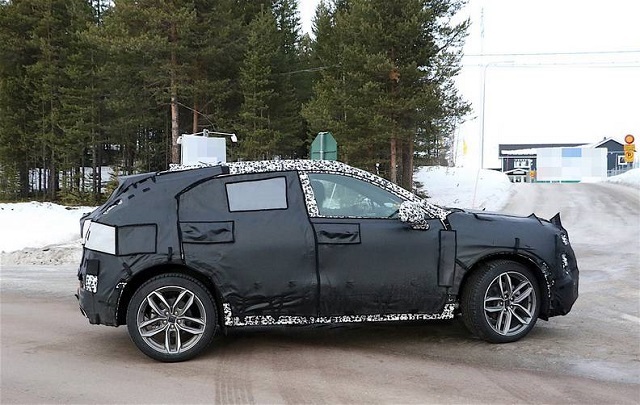 The Cadillac’s latest compact crossover SUV has been caught again during its testing. It is the all new 2019 Cadillac XT3. The Company has decided to expand its SUV lineup with the upcoming smaller XT3 SUV since it already has the large Escalade and XT5 models in its lineup. Although it is wearing a lot of camouflage, it is obvious that the future XT3 will borrow some design cues from it larger sibling XT5. As well, we can also except some details inspired by the Escalade model. Under the hood, the new Cadillac will probably use the same unit found in the ATS model. Furthermore, the XT3 will share the same underpinnings with the latest Chevy Equinox and GMC terrain. However, the interior might not be that spacious like in the XT5 for example. The main rivals of the 2019 XT3 will be Audi Q3, Mercedes-Benz GLA and BMW X1. Its production should take place in Kansas City, at the GM’s Fairfax Assembly Plant. When it comes to the engine, there is still no any official information, only speculations. So, according to the latest rumors, the 2019 Cadillac XT3 will most likely receive the same engine which powers the current ATS model. It is a 2.0-liter 4-cylinder turbocharged unit. This engine is able to make 272 horsepower and 295 pound-feet of torque so we expect similar performance in the XT3. The engine will most likely pair with a 6-speed manual or an 8-speed automatic transmission. The front-wheel drive should be standard while the all-wheel drive configuration should be available too. On the other hand, the larger XT5 uses a 3.6-liter V-6 with the output of 310 hp and the torque of 270 lb-ft. However, it’s not likely that the XT3 will use this one. The 2019 Cadillac XT3 will ride on the GM D2XX platform which also underpins the Equinox and GMC Terrain models. 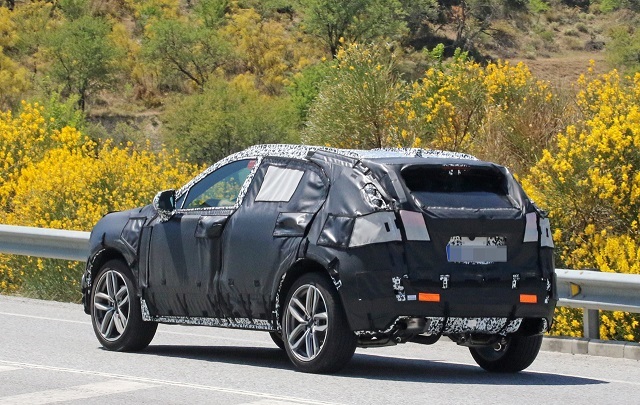 Speaking of the exterior design, despite the heavy camouflage, it is obvious that the XT3 will share some similarities with the larger XT5. We can also notice its boxy silhouette. As well, the future XT3 will most likely feature a large grille and a pair of LED pointy headlamps. Looking from the side, we can notice a three-window design too. The rear end will be dominated by the vertical taillights, also equipped with LED lighting and massive bumper. When it comes to interior, the 2019 Cadillac XT3 probably won’t be that spacious as expected because of the lower roof. So, we cannot expect the same head and leg room as in the larger XT5. However, it should be roomier than its main competitors. The cabin will most likely get V-shaped dashboard with a touchscreen in the middle of it. This display will probably be available with the optional CUE infotainment system. The Apple CarPlay and Android Auto, 4G hotspot and wireless charging are expected to be standard. The 2019 Cadillac XT3 should be presented at the 2018 Detroit Auto Show next year. The price is still unavailable, but it should be similar to the one of its main competitors which starts at round $30,000.